NEW FOR 2018 - THIS SELECTION IS NOW ALL BARBLESS! Here to make life easy, one dozen of the top, proven patterns from Fulling Mill and Pro Range that catch an awful lot of grayling! Many of these patterns incorporate tungsten beads to get your flies down to the fish fast - and jig hooks to help avoid snagging up once you're there. 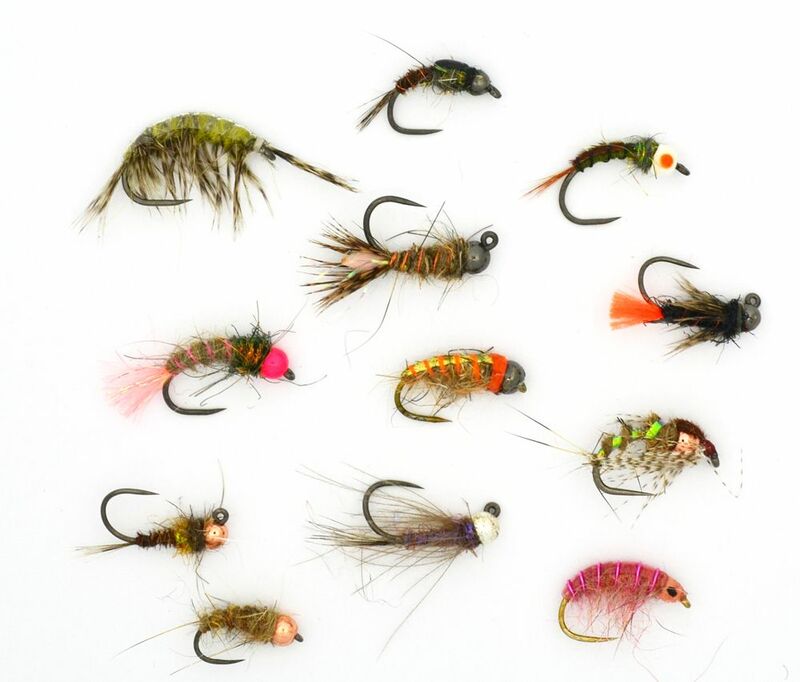 Bought individually these flies retail for £18.70 but this selection brings them to you for just £14.95.